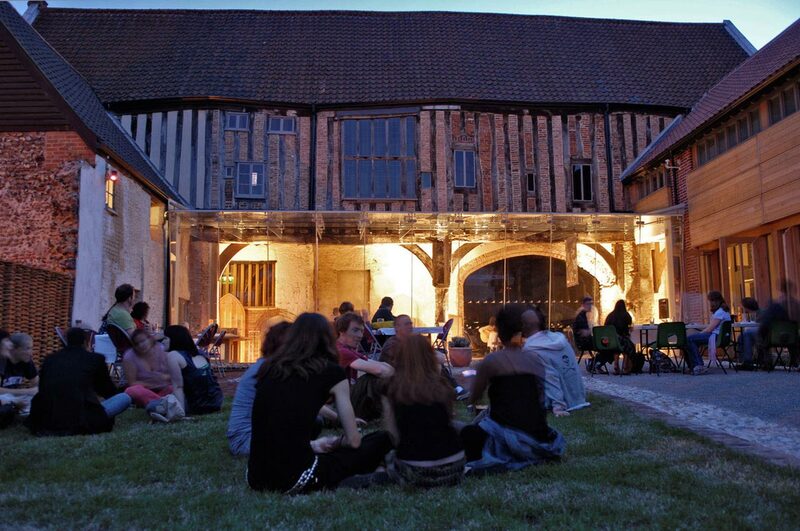 The Dragon Hall project comprises extensions, alterations and conservation to a 12th-15th century Grade I Listed cloth merchants trading hall in Norwich. Dragon Hall is a magnificent Grade 1 Listed oak framed medieval trading hall constructed in 1426 on a site which had been occupied for the previous 500 years. Over the centuries the Hall had been subdivided internally with many small buildings around. The Hall was rediscovered in the 1980’s and the process of historical and archaeological investigation and initial conservation work began. This project was the completion of that process. The Dragon Hall is one of the most important historical buildings in Norwich. In some areas the building fabric is delicate and careful conservation measures and detailing were employed in order to enhance the building for visitors and to safeguard its future. The visitor facilities and inclusive access arrangements have been brought up to date, while an all glass gallery has been added to link the two wings of the building and to visually clarify the building’s history. Attention to detail was of great importance during the design stages and exceptional build quality was a prerequisite for construction. Both were achieved.